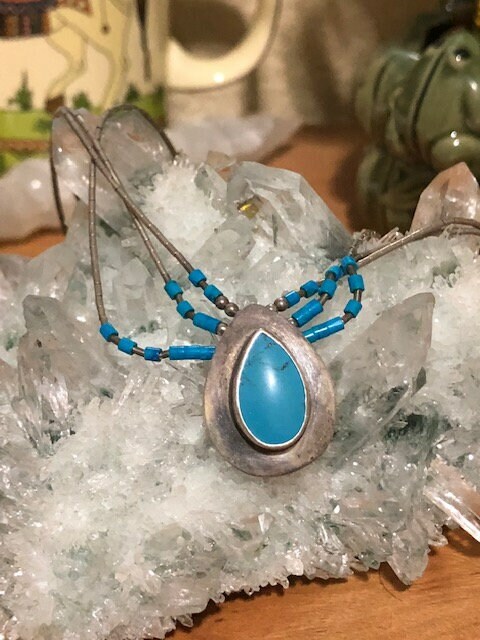 A Navajo artist with the initials SE created this bezeled turquoise in sterling silver. 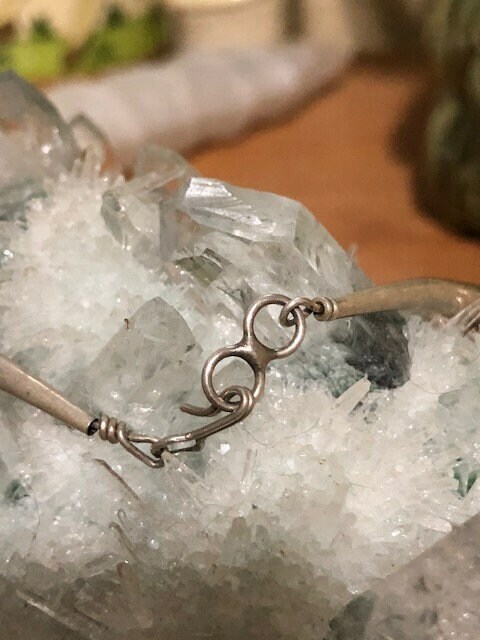 This necklace has been hand strung with three strands of liquid silver, and what appears to be turquoise beads toward the center for a beautiful shine. This vintage turquoise necklace is only $60. Order now to guarantee availability.